Every year we remember when Hurricane Katrina “hit” New Orleans—August 29, 2005. Make no mistake, hurricane damage is devastating. However the real nightmare began in the days that followed, when 50 levees and flood walls failed. Suddenly, water covered 80 percent of New Orleans. Some people wondered whether the City could ever recover, and many asked whether it should even attempt to rebuild in the flood-prone region. What have we learned from the tragedies of New Orleans? The pump stations in New Orleans weren't designed to function during major storms. Katrina damaged 34 of 71 pumping stations and compromised 169 of 350 miles of protective structures. Working without adequate equipment, the US Army Corps of Engineers (USACE) took 53 days to remove 250 billion gallons of water. New Orleans could not be rebuilt without first addressing infrastructure—the underlying problems with the City's systems for flood control. Federal dollars poured into a Hurricane & Storm Damage Risk Reduction System (HSDRR), which enabled the Army Corps of Engineers to rebuild the levee system and contract new projects for flood control. Federal law required the Army Corps of Engineers to redesign old and damaged pump stations to assure that they would remain operable during a storm event. The Corps installed generators to provide backup power. Critical electronic equipment was placed at a higher elevation to prevent submersion during a flood. Nearby safe rooms were constructed to withstand hurricane-force winds up to 250 mph. Grass roots organizers used the Internet for education and lobbying. Citizens created websites such as Levees.org to help give the people a voice in the public works projects that affect their lives. Many residents displaced by the post-Katrina floods were forced to live in FEMA trailers. The trailers weren't designed for long-term living and, worse yet, were found to have high concentrations of formaldehyde. This unhealthy emergency housing gave rise to new approaches to prefab construction. Movie star Brad Pitt capitalized on his celebrity status to help rebuild the Lower 9th Ward. 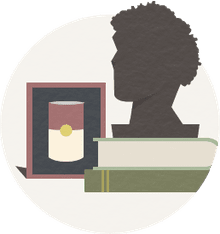 His brainchild, Make It Right, became a laboratory for testing and implementing new techniques and materials for building green, storm-resistant, economical homes. The book Architecture in Times of Need chronicles the movement. More than twenty architects gave their time and skills to design model houses built upon principles of affordability and sustainability. Small, economical Katrina Cottages became so popular that Lowes Home Improvement stores began selling kits for marketing across the USA. A second generation style called Katrina Kernel Cottage II closely followed. America's largest professional organization for architects, the AIA, convened their 2011 National Convention in New Orleans where they focused on themes of ecology in design. Thomas Friedman, author of Hot, Flat and Crowded, told the convention that the markets and Mother Nature have sent us a message, a type of “warning” heart attack: You are growing in an unsustainable way. When flooding damaged older homes, it also had an impact on the rich cultural history of New Orleans. 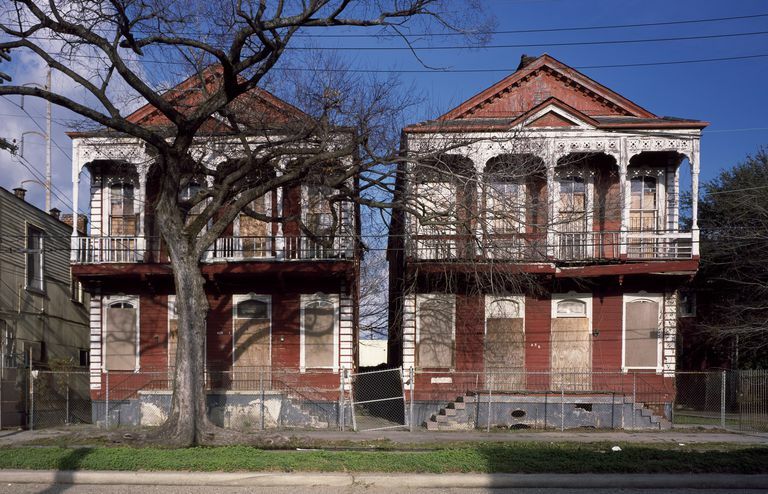 During the years after Katrina, preservation experts worked to shore up and restore endangered historic properties. The National Trust for Historic Preservation, the Preservation Resource Center of New Orleans, the French Ministry of Culture, the French Consulate in New Orleans, and the French Heritage Society joined forces to raise funds and provide expertise for restoration projects. The Preservation Resource Center and other organizations launched initiatives to rebuild older houses using principles of sustainable, green design. The Old U.S. Mint, a National Historic Landmark, has reopened with a new roof and interior renovations from the resultant water damage. Like any large city, New Orleans has many sides. New Orleans is the colorful city of Mardi Gras, jazz, French Creole architecture, and thriving shops and restaurants. And then there is the darker side of New Orleans - mostly in the low-lying flood zones - populated by the very poor. With so much of the New Orleans lying below sea level, devastating floods are inevitable. How can we preserve the historic buildings, protect the people, and prevent another catastrophic flood? In 2005, while New Orleans struggled to recover from hurricane Katrina, architects and other experts proposed ways to help and protect the flood-prone city. Much progress has been made, but the hard work continues. The flooding that followed Hurricane Katrina spared the most famous historic neighborhoods: the French Quarter, the Garden District, and the Warehouse District. But other areas of historic importance were damaged. Preservationists are working to assure that valuable landmarks are not bulldozed. Most architects and city planners agree that we should preserve historic buildings in upscale neighborhoods and popular tourist areas. However, most of the damage took place in lowland regions where impoverished Creole blacks and "Anglo" African Americans settled. Some planners and social scientists argue that true reconstruction of the City will require restoring not just buildings but social networks: schools, shops, churches, playgrounds, and other places where people gather and form relationships. According to many urban planners, the secret to making cities work is a speedy, efficient, clean transportation system. In their view, New Orleans needs a network of bus corridors that will connect neighborhoods, encourage business, and stimulate a diverse economy. Automobile traffic can channeled around the rim of the city, making the interior neighborhoods more pedestrian-friendly. Newsday writer Justin Davidson suggests Curitiba, Brazil as a model for this type of city. New Orleans is riddled with poverty. Many economists and political thinkers say that reconstructing the buildings is not enough if we don't address the social problems. These thinkers believe that New Orleans needs tax breaks and other financial incentives to stimulate business. As we rebuild New Orleans, it will be important to construct homes that are suited to the soggy ground and humid climate. The so-called "shacks" in New Orleans' blighted neighborhoods should not be underestimated. Constructed by local craftsmen in the 19th century, these simple wooden homes can teach us valuable lessons about weather-ready building design. Instead of heavy mortar or bricks, the homes were made with insect-resistant cypress, cedar, and virgin pine. The lightweight frame construction meant that the houses could be elevated on brick or stone piers. Air could easily circulate beneath the homes and through the open, high-ceilinged rooms, which slowed the growth of mold. An innovative new science called Biomimicry recommends that builders and designers observe forests, butterflies, and other living things for clues on how to construct buildings that will withstand storms. Some people say that we should not attempt to reconstruct the flooded neighborhoods of New Orleans. Because these neighborhoods lie below sea level, they will always be at risk for more flooding. Poverty and crime were concentrated in these low-lying neighborhoods. So, according to some critics and government officials, the new New Orleans should be constructed in a different location, and in a different way. Over a hundred years ago, the entire city of Chicago was constructed on reclaimed swampland. Much of the city is only a few feet above Lake Michigan's water surface. Perhaps we can do the same with New Orleans. Instead of rebuilding in a new, drier location, some planners suggest we develop new technologies for defeating nature. The years pile up like debris. So much was lost after Hurricane Katrina swept through New Orleans and the Gulf Coast in 2005, but perhaps the tragedy taught us to re-think our priorities. Katrina Cottages, post-Katrina preHab Houses, expandable Katrina Kernel Cottages, Global Green Houses, and other innovations in prefab construction have set a national trend for small, cozy, energy-efficient homes. House Plans and House Design Ideas for Smaller Homes are in. The Primitive Hut is back. Moving on, read Marianne Cusato's Blueprint for the Future - Beyond the Katrina Cottage. Did a Giant Crocodile Terrorize New Orleans After Katrina? Henriette Delille, New Orleans Religious Leader: Moving to Sainthood?